Image of license expiring. White male. Description of living with AIDS for years. "Someone can have HIV for years without knowing it. This means that many people in their twenties who have AIDS may have been infected with the virus while they were in their teens. 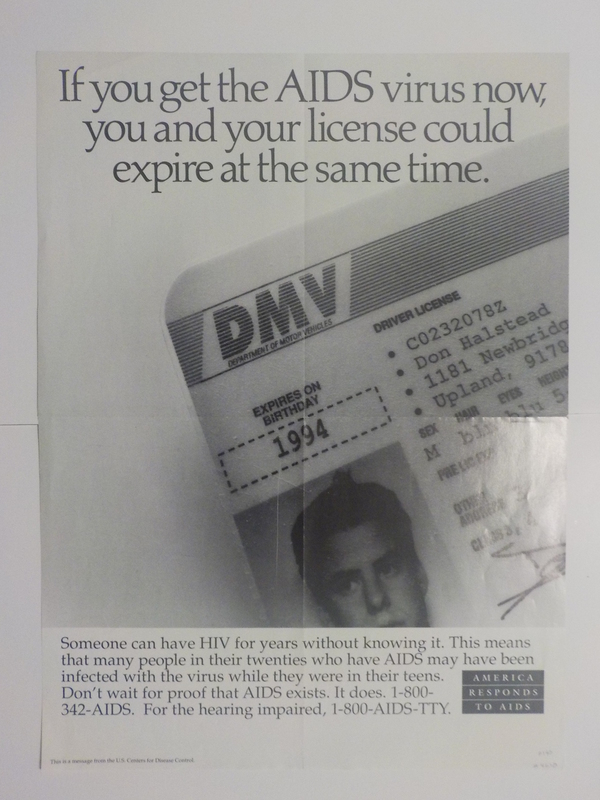 Don’t wait for proof that AIDS exists. It does. 1-800-342-AIDS. For the hearing impaired, 1-800-AIDS-TTY."